Lt. Brad Snyder is the only sailor among 30 military members selected to represent a Major League Baseball team at the All Star Game at Citi Field in New York, an MLB release said. The “Tribute for Heroes” contest, run by MLB and People’s Magazine, selected 90 finalists, then let the public vote online for the top 30, who were announced last week. The winners, one for each MLB team, will be recognized during the pre-game ceremony on Tuesday. They also took part in activities in the days leading up to the game like a private tour of the 9/11 Memorial, a reception on the USS Intrepid and the Home Run Derby on Monday night. Snyder will be representing the Tampa Bay Rays. The explosive ordnance disposal technician was blinded by an IED in Afghanistan in 2011. 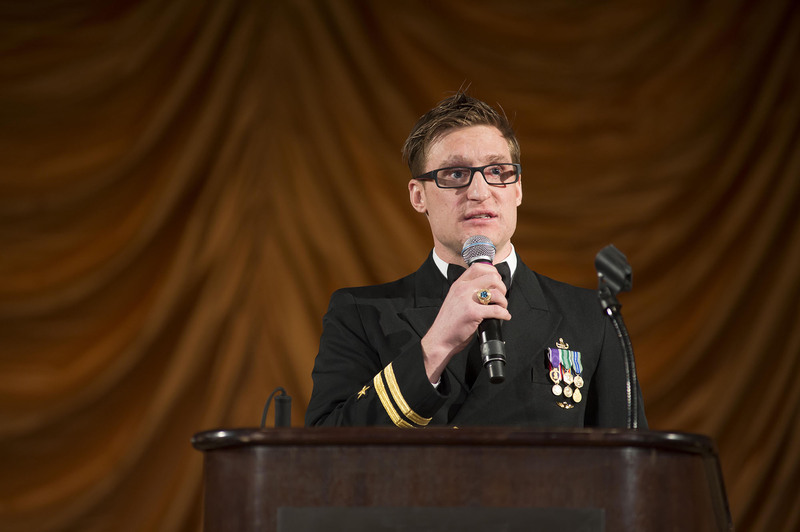 He went on to win two gold medals and a silver medal in swimming at the London Paralympics just one year after his injury in 2012, and continues to work to help wounded warriors succeed in life after the military. The All Star Game is an annual baseball game that pits the top players in the American league against their counterparts in the National league. It will be televised on Fox beginning at 7:30 p.m. on Tuesday. To see the other 29 military representatives from the Army, Air Force and Marines, click here. You also have one day left to vote for Snyder to win an ESPY. He’s up for this year’s Best Male Athlete with a Disability award.